For the last couple of years, Alesis has been owning the keytar game with their Vortex and Vortex 2. Roland has just brought back their staple keytar, the Roland Ax-Edge and it is making waves in the keyboard community. I am very happy that they finally made this as it has been years since its predecessor. Roland has stated that their goal with this instrument was to make something that was geared towards live performance. It is well known now that bands are getting more and more creative with their live show and Roland saw this as an opportunity to relaunch their Edge keytar. Why is MIDI important in a keytar? 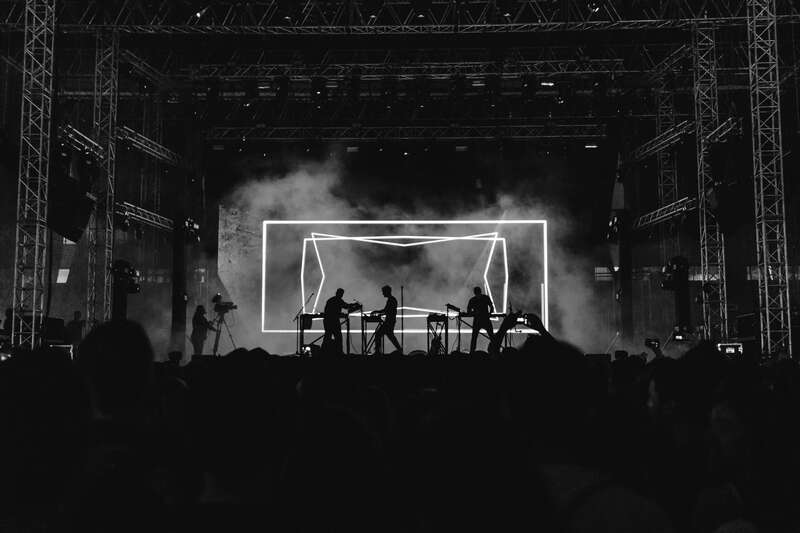 MIDI technology in this instrument is important because it literally allows you to play any possible sound and still have the ability to move around the entire stage with the Bluetooth technology. Roland had discontinued the first version of the Ax keytar due to lack of sales and use in the music industry. However, in the last few years, Alesis has come along with the Vortex 2 and they have basically controlled the keytar market since then. The first thing we wanted to look into with this Roland keytar is to see if they had improved their MIDI ability. 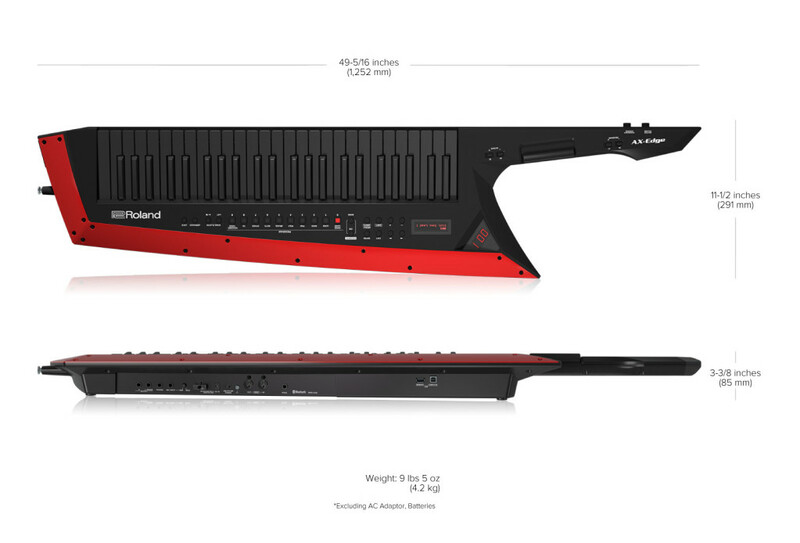 This keytar has a super sleek design similar to its predecessor, but I think it looks even cooler. Another thing to note is that it comes in white and gold or black and red. 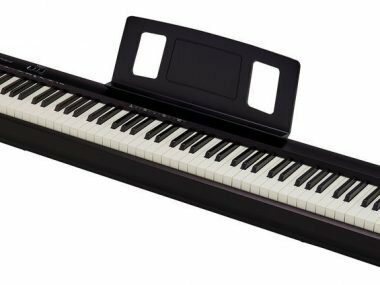 Something that I found interesting with this keytar is that it comes with 49 keys, not the traditional 37 keys that most keytars come with. It is also a vocoder and this feature is one of the coolest things about this product overall. The internal sounds of the Roland Ax-Edge are pleasant nice sounding. 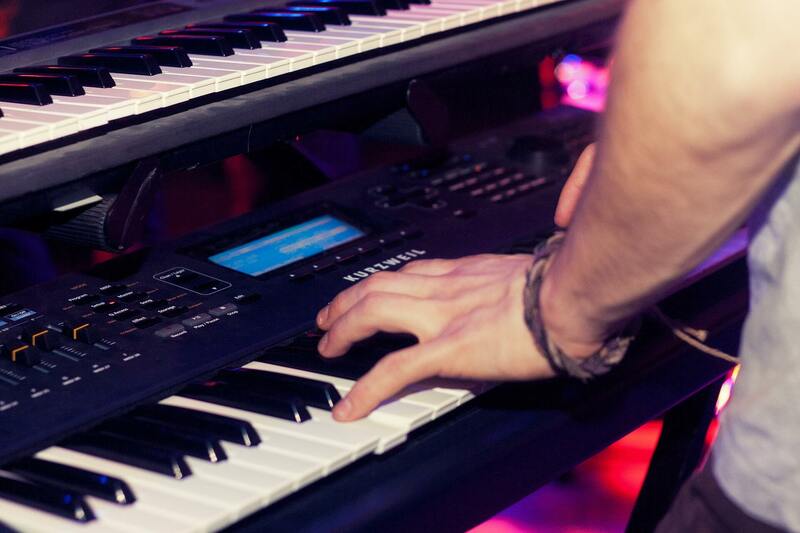 The big knock myself and most keyboardists have on keytars is that the internal sounds are usually quite bad. I have long been a Roland synthesizer fan and it is nice to see a keytar that has good internal sounds. On top of the internal sounds, it also has Bluetooth MIDI capability. Roland definitely did this in order to compete with the Alesis Vortex 2 and we are starting to see more and more controllers have wireless technology. I am a big fan of newer MIDI controllers because I have relied on them for live performance in a touring band for the last 5 years now. 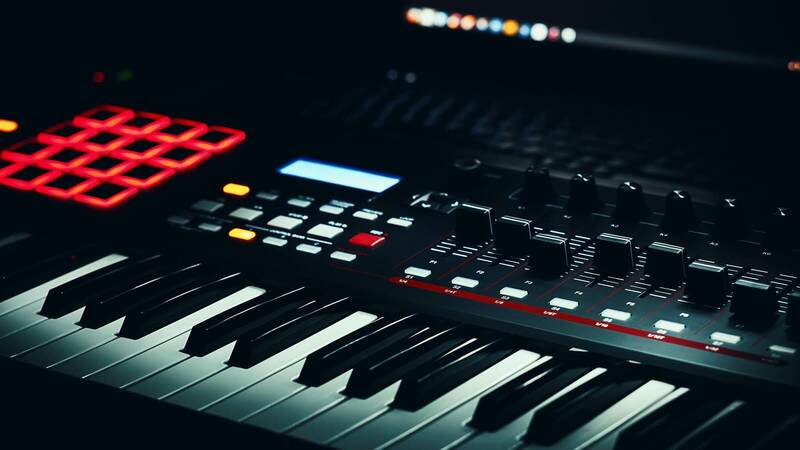 I feel like with every new release, MIDI technology is getting better and better and the Edge has great MIDI capability. You can view my favorite 49 key MIDI controllers here. The nice thing with this instrument is that you can very easily change from different patches to cover as many parts as possible. Whether it be covering bass parts to a ripping lead or even just laying down a lush pad that Roland is known for. The layout on this instrument is quite nice with everything being very easily accessible. The one thing that I will note is that I was used to playing the Vortex 2 which only has 37 keys and although I like having the 49 keys that the Ax-Edge provides, it took a little bit to get used to. 37 keys on a keytar make for a smaller keytar that isn’t as bulky, however, I will say that after I got used to it, it was quite nice to have a bigger key-bed. The ribbon controller is located on the neck of the Ax-Edge so you can easily bend your notes and access it. Thee LCD screen so you can see what patch you are on is located in a nice place on the top left of the keytar. The patch is shown here and it also is lit up which really helps for performances where the stage is dark. There is an arpeggio button located next to the patch buttons on the instrument in case you want to arpeggiate a patch or VST. I really like the portamento feature of this keytar as I’m a huge fan of portamento. This is also accessible along with a patch switch button and octave buttons. Overall this is a solid instrument with great Bluetooth MIDI capability. The internal sounds of the product are some of the best on a keytar and you could make a valid argument for the best internal sounds yet. I love that this instrument has aftertouch on the keys and I also love the ribbon controller. The one thing that is a little weird at first is it feels a bit bulky compared to other keytars. Some people will like that it has 49 keys, but some will prefer the 37 keys of the Vortex 2 because its a lot less bulky. The Ax-Edge sets itself apart though because it does have great internal sounds with Roland’s latest technology in the synthesizers. I found the leads and bass to have a great texture to them and it reminded me of why I like Roland so much for synths. We hope you found this review helpful. If you are love Roland, check out my favorite Roland keyboards here. I have used a keytar for the last 3 years in a touring band and I have been playing piano for the last 20 years now. Up until the last couple of years, I was very disappointed with the sounds and technology with this instrument, however, I purchased the Vortex a few years back and I instantly fell in love. You can use this instrument as a MIDI controller and use it for pretty much anything you would possibly want to do.